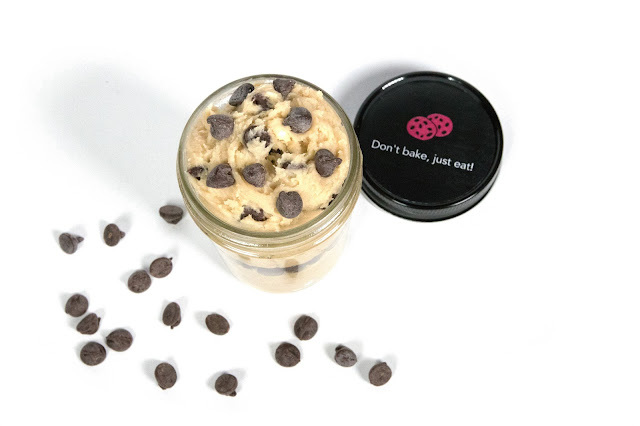 This is a great idea: local resident Lindsay Larner has started a clever new business, The Cookie Jar DC, which makes cookie dough that's ready to eat. I have fond memories of sticking my finger in the dough as a kid, but you didn't want to get in trouble. The idea here though is that you're supposed to eat the dough! The Cookie Jar DC makes eggless, edible dough in big or small jars, with flavors like classic chocolate chip, peanut butter, mint chocolate chip, sugar cookie with sprinkles and oatmeal raisin. Larner makes the dough locally at Union Kitchen and it's available for sale sale at some retailers, for delivery as well as pickup from a few locations around town, including one at 14th and W. She's also catered a few events, had pop-ups around town and had orders from around the country. I wanted to start my own business and do something creative. I love cookies, but I love cookie dough even more. Technically, eating raw cookie dough isn't good for you because you can get Salmonella. Most of us have our mom or dad's voice in our heads telling us "don't eat the raw cookie dough, you'll get sick!" But I couldn't find an option—at least not in DC—for edible cookie dough that was safe to eat. I started playing around in the kitchen, and I ended up with a delicious edible cookie dough product in several different flavors. Not only is it edible because it doesn't contain eggs, but it has all of the other traditional cookie dough ingredients. It's the real deal. Sounds awesome to me. I'm definitely going to try it. Neighborhood cleanup and cookout coming Apr. 23!